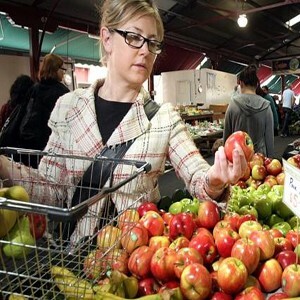 The City is seeking a UNESCO world heritage listing for Queen Victoria Market as part of a precinct redevelopment that would cost up to $250m. Window film installer Aaron McCarthy of TintFX was awarded three trophies at the AWA Design Award presentations in Canberra. Allplastics Engineering took part in one of the plastic industry's biggest trade fairs, with the Design Composite Pep featured at the event. 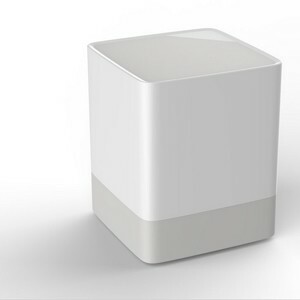 The Cube, a colour capture device, is ready to be launched as a Kickstarter to gain funds for its manufacturing costs. 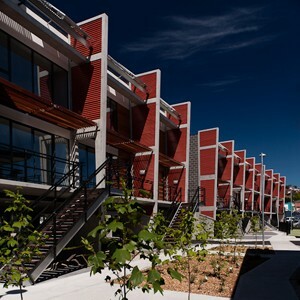 Xsquared Architects has gained the first 5 Star Green Star rating for a multi-residential building in Tasmania. A stainless steel socketed pipe system from ACO Polycrete was used in a recent upgrade of the drainage layout at Thomas Foods International, NSW. Kingspan Insulation announces that its Kooltherm K8 cavity board has achieved full CodeMark certification. B&D Garage Doors and Openers announces a new range of garage doors designed to bring home-like comfort to the garage by insulating the space from heat, noise and debris. Waterstone Marmorino, a textured plaster finish by Bishop Decorative Finishes was applied to all the interior walls and surfaces at Vision Apartments in Melbourne. Formula Interiors presents Shift, a new solution that integrates information and communications technology (ICT) with space planning and furniture design. IXL Home introduces the new 400 series ovens from Gaggenau that combine maximum function and an iconic design language.